This was actually a winning TK Maxx find, which is both amazing, but also super sucky because I think Percy & Reed have discontinued it! (Please correct me if I’m wrong) I can’t seem to find it on their website, but various other places like Beauty Bay still seem to be stocking it. I have wanted to try Percy & Reed stuff for quite some time, their branding really, really appeals to me, and I do love a good hair product. I’ve had an obsession with getting glossy hair for quite some time after a serious case of hair envy, so have been trialling various different things, so naturally I was so excited when I saw this one going cheap in TK Maxx. What I love about this hair mask is that there’s no funny business, you literally just put it on after shampooing for 3 minutes, then rinse off in the shower. No awkward waiting times or weird rituals to worry about, which is perfect for me because it means I can use this before work if I want to without making myself super late! It’s a bit of a funny texture, it kind of feels a bit squeaky, and like it’s not going to absorb into your hair. I was surprised by how much you need to use, and once you’ve rinsed it away you hair does feel like it would be easily tangled, so I always follow it with conditioner for super soft locks. I have got to say, the results are really good. This hair mask delivers exactly the kind of hair I want, fluffy, soft and manageable. No tangles within a million miles – praise the lawd. It is perfect for long hair, and even leaves my (kinda) dull blonde hair with a nice shine to it. It’s also quite a light product, and doesn’t weigh your hair down or make it oily or greasy – perfecto! I do really love this product, and why wouldn’t I for £4.99?! For £18.00 though, I’m not so sure I’m afraid. For the amount you need to use, I’m not sure I could justify such a huge spend on a hair product. It would be great if you have short hair and don’t need a lot, but for my hair it would just run out so quickly. That being said, I do only use this occasionally, so it has lasted a good few months. 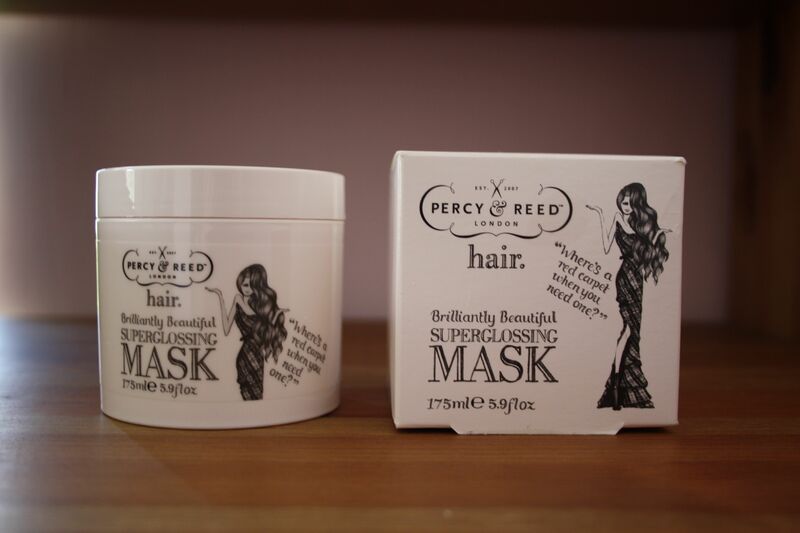 I definitely want to try more from Percy & Reed, and will look into some of their daily hair care products for sure! What are your favourite products by them? Make sure you leave a link to any reviews in the comments as I’d love to read more about them! Thanks for your comment Gemma! I really do love it – tend to use it as a bit of an SOS product!